The Employee Management report allows users to see each individual employee’s profile, shift, and clock in/out status. Daily, weekly, monthly, quarterly, and yearly reports can be generated. 2: Click the employee you wish to view a report on. 3: Select the date range for the report. 4: For each employee, there are three tabs that can be viewed, Profile, Shift, and Clock In/Out. A). Profile allows you to quickly see employee information such as name, address, and phone number. B) Shift enables you to see an employee’s cash drawer starting and ending amount. You can also view when the shift was opened and closed as well as if the drawer was over or short. 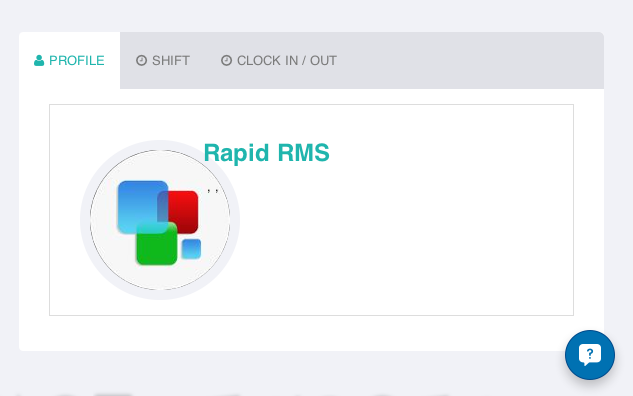 C) Clock In/Out allows you to view when the employee clocked in and out. As well as how many hours an employee worked during a shift. 5: To print the report, click Print Option then select a print option. The print options are print current view, download the report as a .pdf, and to export the information into a excel spreadsheet.